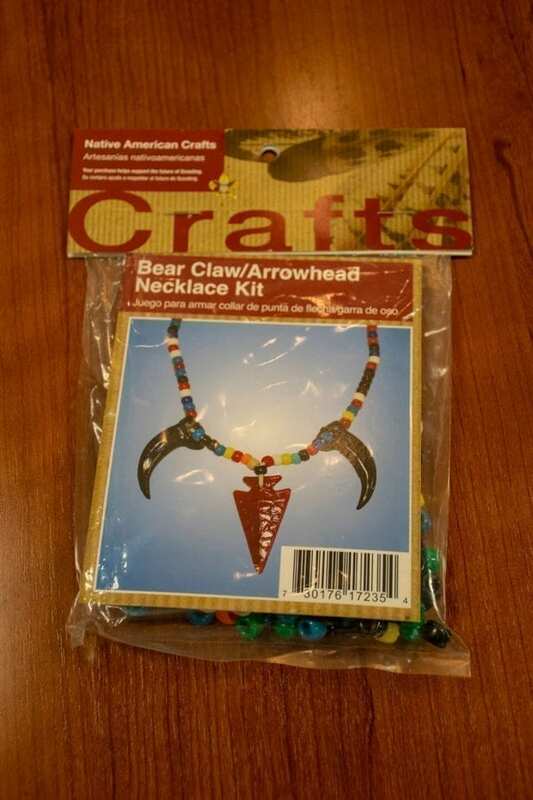 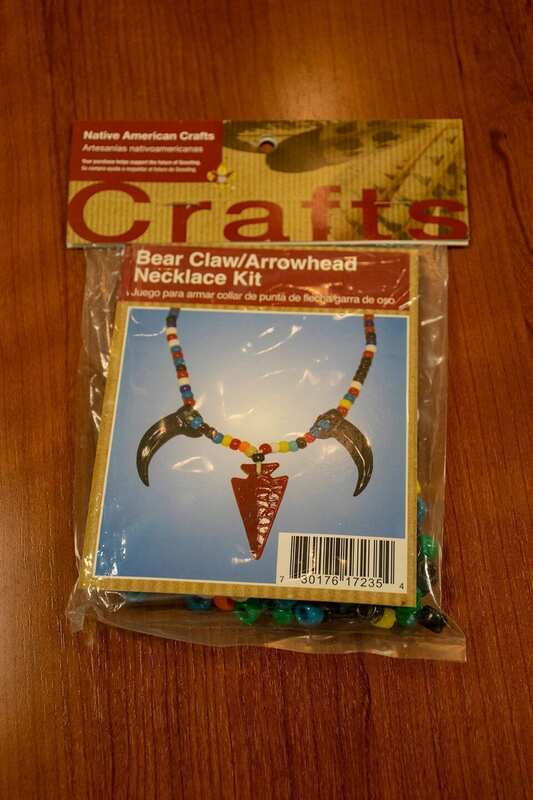 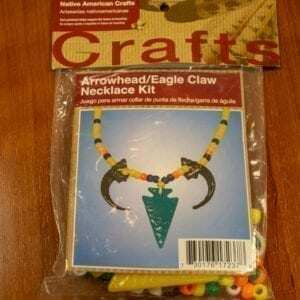 Includes two imitation bear claws, one arrowhead, lace, assorted color beads, and instructions. WARNING: Choking hazard. 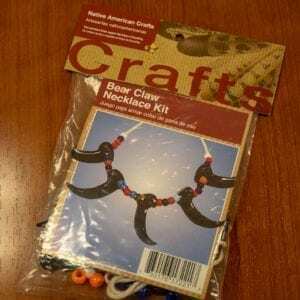 Small parts. Not for children under 3 years.